The UK’s Home Office has been openly criticised this week over the e-borders scheme, which was besieged by problems since it was launched in 2003, last year ending its current form, which proved to be completely ineffective. The borders scheme, costing around £830 million originally intended to collect passenger data and perform analysis on all travellers arriving at and leaving the UK’s airports and seaports. Many of the criticisms are regarding not only the spending acceleration of the project, but also its failure to meet its targets, with an estimated 20% of booking data being collected, compared to the 100% original target figure. Advance Passenger Information collection in September of this year was at 86%. The original contract for the provision of the e-borders technology was cancelled, and a subsequent £150 million settlement was paid out-of-court. While the system has been upgraded, the original e-borders scheme is way overdue, with an estimated completion date now set at around 2019, eight years past the intended deadline. E-borders technology improvements all over the world are proving successful in the ability to track the movements of terror suspects and to minimise the risks to national security. The latest developments offer solutions using biometric data and self check in. 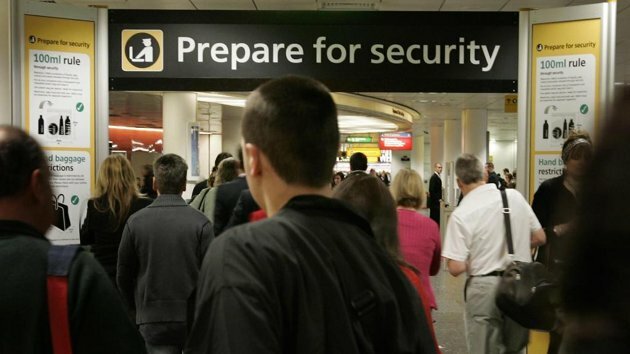 The UK Home Office maintain that despite the delays and problems with the implementation of the new e-borders system, all arrivals on UK shores are checked against national watch lists.